The monsoon season in India is considered to be one of the best time for several places as it starts raining and brings respite from the scorching summer. The monsoon rain changes the geography of the major travel destinations in India as the rain effect make the places look more greener and beautiful. There are certain travel areas that you should avoid travelling during monsoon, but again there are several amazing places in India that can be considered as the best monsoon travel destination in India. India is blessed with so many travel destinations that are ideal for monsoon vacations, and there will be a huge list if we need to mention them all. Here we will go through just 10 of the major monsoon travel destinations in India that you can enjoy with your family or friends. This list might prove useful for everyone in India as well as for those from abroad. So here goes the list of the major monsoon vacation destinations of India and hope everyone enjoys the read. Wayanad is one of the most beautiful travel destinations in Kerala and is blessed with an abundance of natural resources and scenic beauty. In Waynad you can see a lot of travel attractions and sites of importance. In Wayanad you will be able to visit places with different geographical features such as waterfalls, hill stations, caves, lakes, dams, Islands, Wildlife sanctuaries etc. For all its rich tourism resources, Wayanad is considered as one of the best family travel destinations in India for you to visit during the monsoon season. Wayanad is without doubt one of the best monsoon travel destinations in India and you will find a variety of travel attractions in and around Wayanad. Just take your own time and enjoy the freshness and beauty of this place along with your friends or family to get the much needed break from your hectic life schedule. Karnataka is also blessed with a variety of travel destinations and attractions that are visited by travellers from across the world. Hampi in Karnataka is such a place which is considered to be an ideal monsoon travel destination. 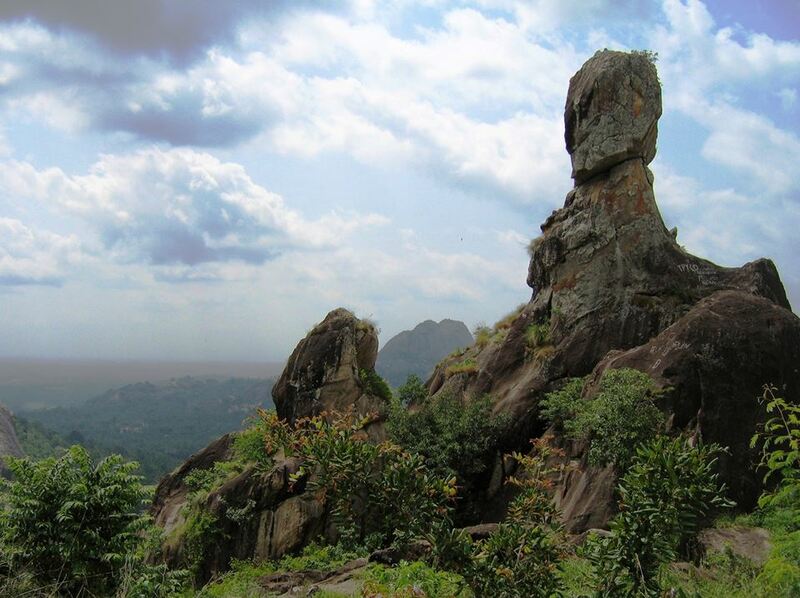 There serene beauty and various sight seeing locations in Hampi makes it a major place to visit in Karnataka. Hampi is also home to several monuments that are ranked as UNESCO’s World Heritage Sites. 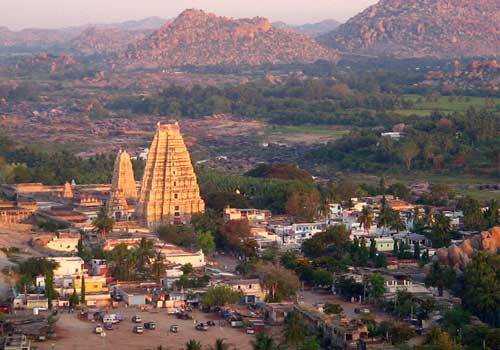 There are also beautiful villages and a dam nearby Hampi, which are worth visiting. Cherrapunji is considered to be one of the wettest places in India and is one of the best monsoon travel destinations of India and is located in the north east Indian state of Meghalaya. Cherrapunji has a clean and serene environment which makes it too much beautiful to view and is one of the major reason behind this place attracting travellers from different places. Cherrapunjee is blessed with an amazing landscapes and the presence of waterfalls, caves, hills and other natural attraction which really attracts the tourists. 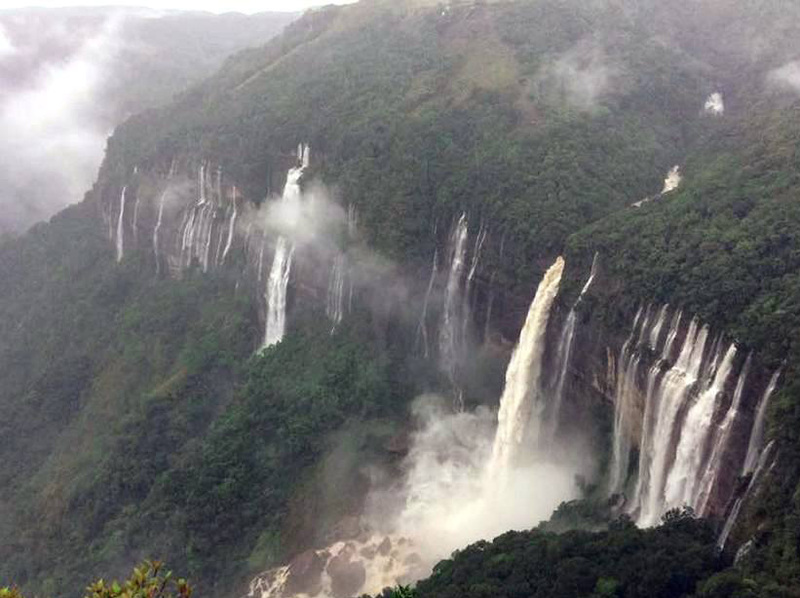 If you are looking for the best monsoon travel destination in India, then Cherrapunji is a must to try option. Agumbe is a small village in Karnataka which is also called as the “The Cherrapunji of the South” and is noted for its rain forests and amazing natural beauty. Agumbe is place worth visiting in Karnataka and is still virgin in nature as it is not much explored by the travellers. 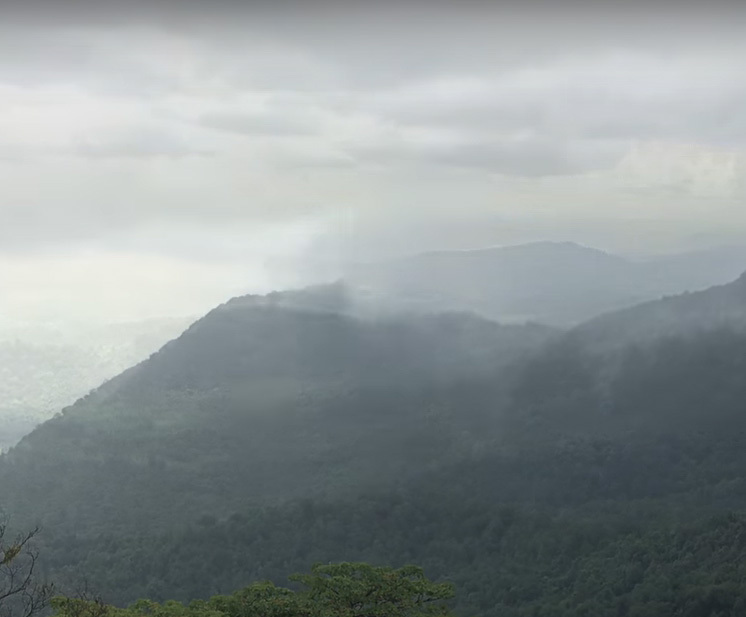 But in the recent time Agumbe has carved a place for itself in the tourism industry of Karnataka and is fast gaining reputation as one of the ideal monsoon travel destinations of India. This beautiful hill station in Karnataka is noted for its beautiful hills, waterfalls, rain forests and is also a best place for trekking. So schedule your trip to this untouched travel destination in Karnataka next time when you would like to visit the major monsoon travel destinations in India. 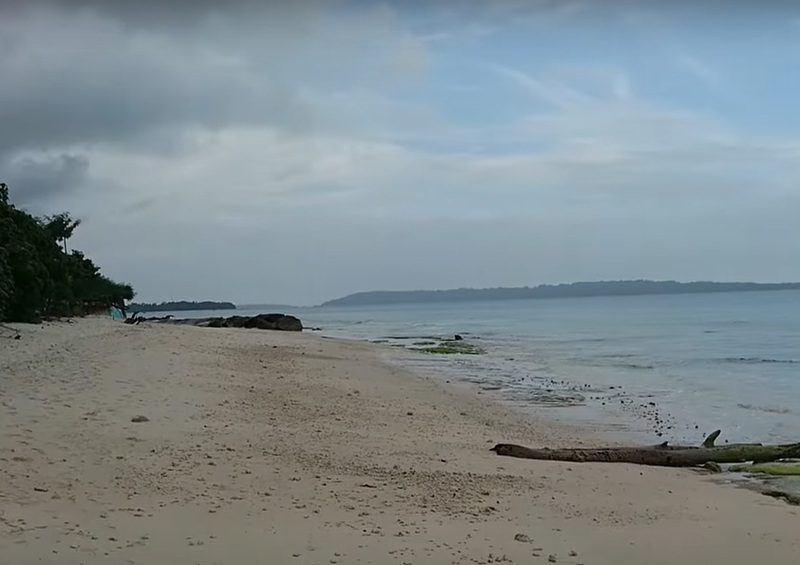 The Andaman and Nicobar Islands is a popular travel destination in India and they are a group of islands located at the intersection of the Bay of Bengal and Andaman Sea. The Andaman and Nicobar Islands is well known for its lagoons of crystal clear water and the marvelous beaches that are not seen in other parts of India. The presence of the tropical rain forests and pleasant weather along with the mind blowing scenic islands makes the Andaman and Nicobar Islands a perfect monsoon travel destination in India. The beaches of the Andaman and Nicobar Islands are also a great place for water adventure activities such as scuba diving and snorkeling. If you are looking for a unique monsoon travel destination in India, then the Andaman and Nicobar Islands might be the best option for you. Valley of Flowers in Uttarakhand is a UNESCO World Heritage Site and is one of the most beautiful places in India. The Valley of Flowers in Uttarakhand is set up in the backdrop of the majestic and high altitude Zanskar Ranges. The valley of flowers almost looks like a fairyland and is surrounded by the snowy Himalayan mountains. The beautiful mountain ranges, waterfalls and the mind blowing glaciers present at the Valley of Flowers makes this place more beautiful and charming. This place is covered with snow during the winter season, but as the summer arrives the real beauty of this place surfaces. Once the monsoon arrives, the Valley of Flowers becomes more beautiful and looks like a flower carpet. The beautiful mountain ranges, waterfalls and the mind blowing glaciers present at the Valley of Flowers makes this place more beautiful and charming. This place is covered with snow during the winter season, but as the summer arrives the real beauty of this place surfaces. 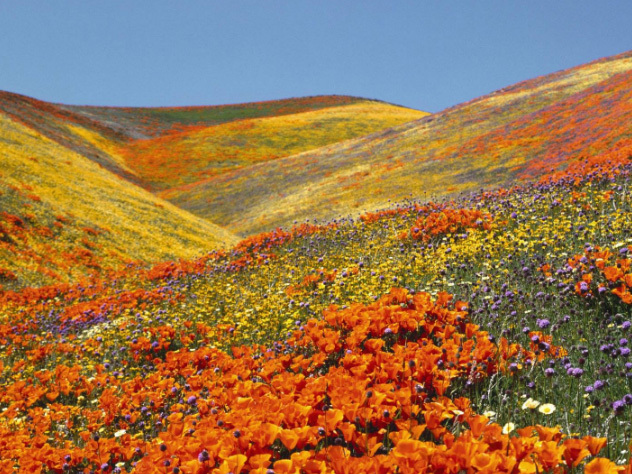 Once the monsoon arrives, the Valley of Flowers becomes more beautiful and looks like a flower carpet. All these factors makes the Valley of Flowers a perfect monsoon travel destination in India and the beauty of this place is still untouched and there are plenty of things to be seen in and around the Valley of Flowers. Udaipur is one of the major travel destination in Rajasthan and is also known as the “City of Lakes”. Udaipur is one of the favorite travel destinations in Rajasthan and this is maily due to the presence of natural beauty along with the ancient heritage monuments and buildings. Udaipur is generally a calm and serene place, and if you want to spend some time away from the busy city life, then Udaipur is the perfect place for you to spend your time with friends or family. The natural beauty, the ancient buildings, monuments, lakes etc all provides you something worth and also prompts you to visit this beautiful travel place again and again. The lakes of Udaipur also provides you with ample opportunities for recreational activities such as boating and this will help you to explore the beauty of this place in a much better place. Udaipur is also home to unique festivals worth watching and you should plan your trip accordingly if you wish to enjoy festival. 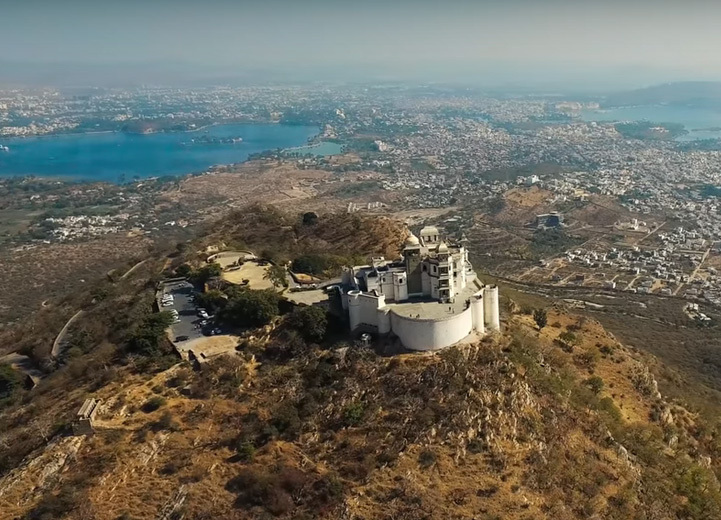 The typical geography of Udaipur makes it an ideal monsoon travel destination in India and this place should be on your list when you plan your trip next time. Alappuzha or Alleppey is one of the most romantic travel destinations in South India and is famous for its long stretch of backwaters. Alappuzha is also called as the “Venice of the East” and will provide you an ideal travel experience. Taking a backwater cruise on the specially designed houseboats of Alappuzha will give you a memorable travel experience. 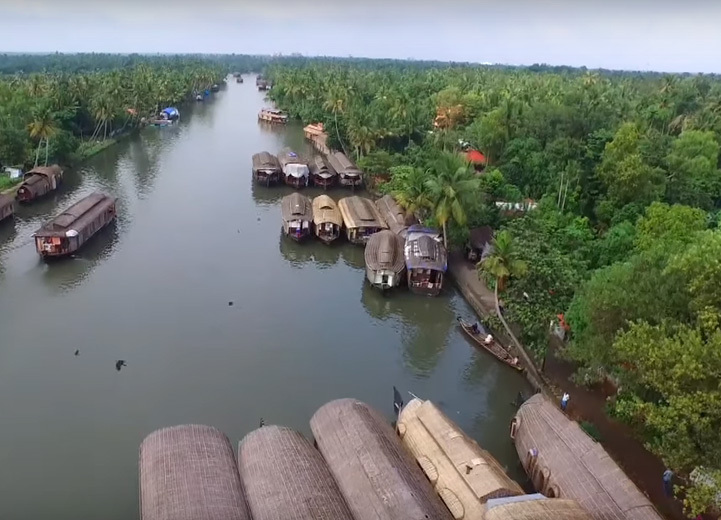 The greenish beauty of Alappuzha can be explored in a better way during the houseboat trip and it will be even more special when it is during the monsoon season. For all its beauty and charm, Alappuzha can be labelled as a perfect monsoon travel destination in India. It is not just the beauty that makes Alappuzha popular, but it is also about the cuisines that are available in Alappuzha. There are several toddy shops in Alappuzha where you can drink some good quality toddy along with the traditional dishes. Alappuzha has carved a special place for itself in the tourism map of India and people from different parts of the world visit Alappuzha to view and experience its amazing natural beauty. So don’t miss Alappuzha from the list of your monsoon travel destinations in India, when you plan to visit India next time. Munnar is a graceful hill station in Kerala and one of the major tourist attractions in South India. The hill stations of Munnar is blessed with an abundance of greenish natural beauty and will be a treat for the eyes, especially during the monsoon season. The sprawling tea plantations of Munnar make the hills look like being covered with a green blanket. 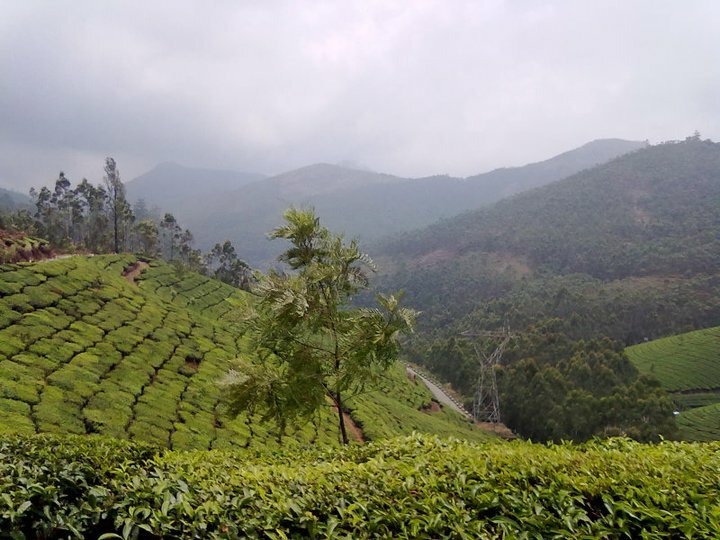 The tea plantation of Munnar is something worth viewing as it is maintained systematically and in an orderly manner. There are various other attractions in and around Munnar such as lakes, waterfalls, forests etc which will make your visit to Munnar a special one. Munnar is also a perfect place for various adventure activities such as trekking, paragliding, boating etc. The Chinnar Wildlife sanctuary in Munnar helps you to see some of the rare wild animal species that are not seen in other wildlife sanctuaries. Munnar has a cool climatic conditions and during the winter, you can see the hills covered in white mist which is really mind blowing. Munnar can be undoubtedly called as a perfect monsoon travel destination in India and it will be a loss for any traveller who do not include Munnar in their must to visit travel destination in India. The beautiful hill station of Mahabaleshwar is located in the Sahyadri mountain range in Maharashtra and is a major travel attraction in India. Mahabaleshwar is also considered as as the queen of hill stations in Maharashtra due to its amazing scenic beauty and calmness. Mahabaleshwar is noted for its rivers, magnificent cascades and majestic peaks and some beautiful strawberry farms. You can also see ancient temples, rivers, green forest, waterfalls and valleys at Mahabaleshwar which makes this place look more beautiful. 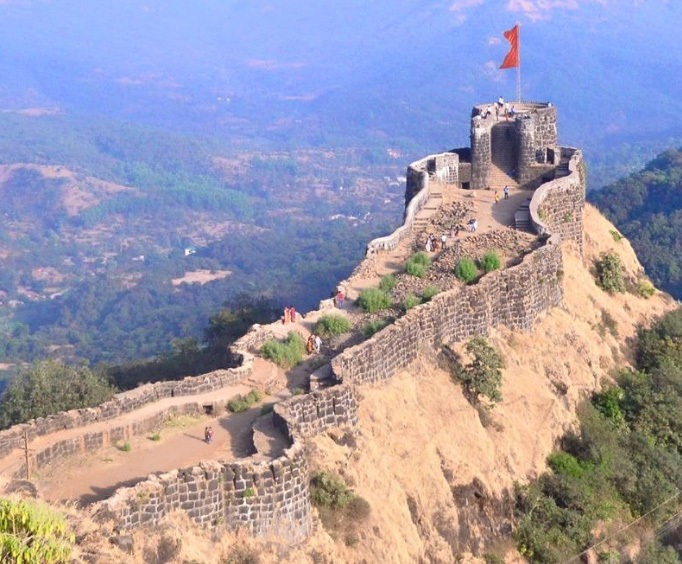 By all means Mahabaleshwar is considered as one of the best monsoon travel destinations in India and is a must to visit travel destination in Maharashtra. Mahabaleshwar was once the summer capital of Mumbai during the British era, and is one of the best weekend getaways for those living in cities like Mumbai and Pune. During the monsoon the flowers of this hill station starts blossoming, making this place look like a heaven. Visiting Mahabaleshwar during the monsoon is one of the most astonishing experience you will have as it will be difficult to describe the beauty of this hill station during that time. So mark Mahabaleshwar as a must to visit monsoon travel destination in India and make sure you visit this place when you plan your trip next time. Interested in Indian Monsoon Tourism? Then Book Your Tour Now! This entry was posted in Destinations and tagged monsoon destinations india, monsoon travel destinations india, romantic destinations india, scenic places in india, travel destinations in india. Bookmark the permalink.